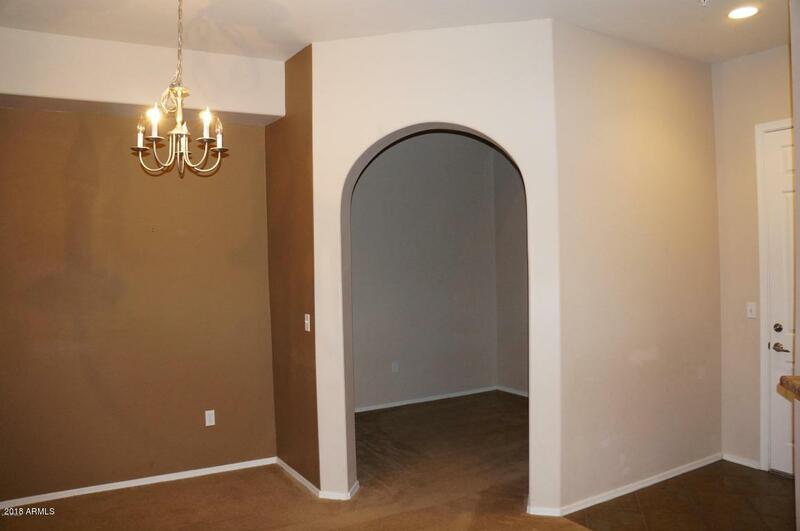 Very nice 2 bd 2bth split floor plan with den. 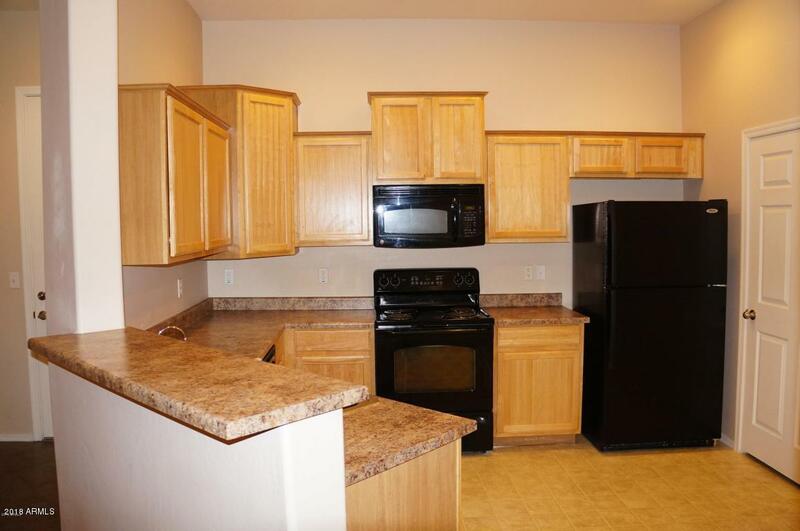 Ground level unit features very spacious kitchen with pantry and black appliances including refrigerator. Just off the kitchen is your laundry room with full size washer and dryer. 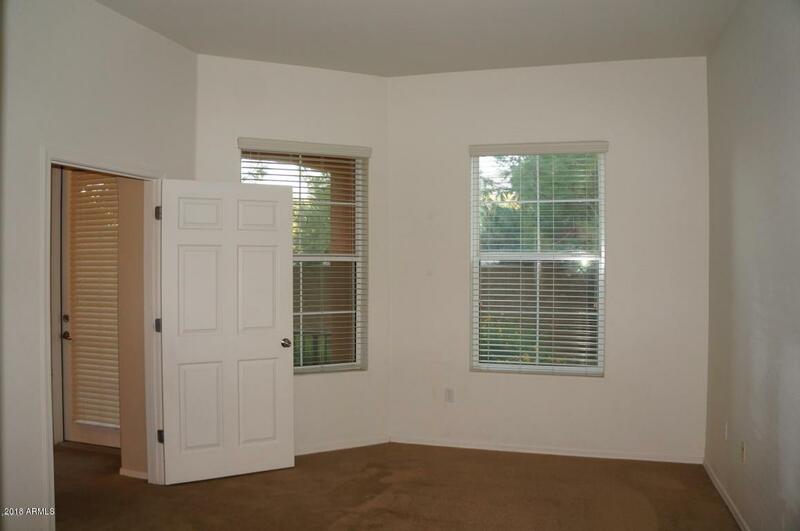 Large master suite with a huge walk in closet. Spacious dining and living areas as well as a separate den room. Nice covered patio. Complex is gated and has all of the amenities of a resort. Heated pool and spa, workout room, clubhouse with a gourmet kitchen, movie room, bocce ball court and more. Walk to stores and restaurants. 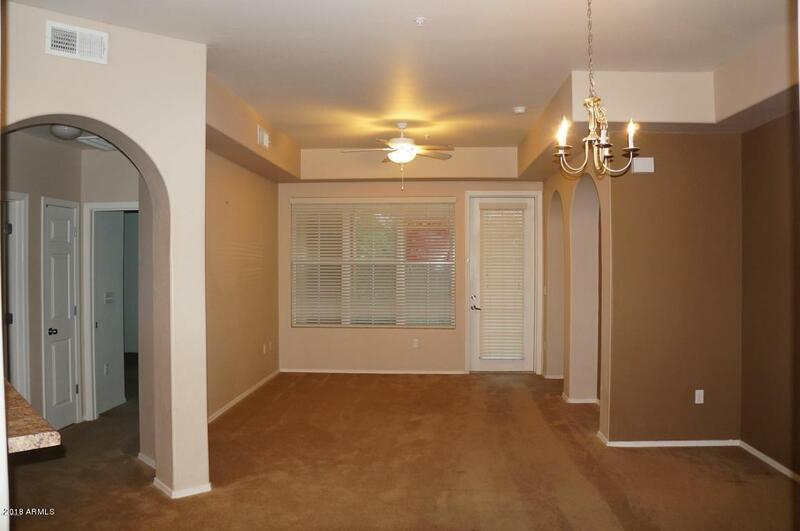 Located near Grand Avenue and the Loop 303 for quick access. Call to see it today! Listing courtesy of Triple Play Real Estate.